What the real Mary witnessed began to add up. She heard from Gabriel, she heard from Joseph that he had heard from Gabriel, and she heard from Elizabeth who had heard from Zechariah who had heard from Gabriel who had heard from God. (Don't worry, the string doesn't get any longer than this.) She also heard from the shepherds who had heard from the angels who had heard from God. What Mary witnessed added up to the promise that her son would establish the long-awaited Davidic dynasty. Gabriel, as we read in Luke's first chapter, declared that her son "will be great and will be called the Son of the Most High. The Lord God will give him the throne of his father David, and he will reign over the house of Jacob forever; his kingdom will never end." Those were same words that were used in the promise given to David back in the seventh chapter of Second Samuel. These were her conclusions to the words she heard and the visions she witnessed. There would be more to come, not the least of which was the significance of holding a baby in her arms, the result of a miraculous conception. This scene is tranquil, peaceful, idyllic, oozing with warm thoughts and gentle feelings-like a Thomas Kinkade painting. All we need is a flush of amber and mauve and a toasty fireplace. The cattle are lowing and they awaken Jesus with his cute, sweet head. The song continues with "no crying he makes." But real newborns do cry-that's one of the rules. I know that when Christmas comes this year, I'll probably toss my own voice into the mix when our church sings this carol again, but it has little to do with the realities of Jesus' birth. Here's what most likely happened to Mary at Jesus' birth. While Joseph and Mary were in Bethlehem, the time for her delivery came and, because there was no room in the "inn," they laid baby Jesus in a manger. The word translated inn in most of our Bibles does not refer to a hotel. Why? A small hamlet like Bethlehem wasn't large enough for a hotel. Most historians today think they were more likely guests in a home where there were two parts to the home: family quarters (upstairs), which is sometimes called an "inn," and animal quarters (downstairs) where the "manger" was. Either because Mary preferred-out of a sense of decency or purity-more room for the privacy of a birth or because there were too many other guests in the "inn," she moved downstairs into the animal quarters for the birth. Moving into those quar­ters probably had nothing to do with unkind innkeepers or inhospitable homeowners, even if that makes for a good story. The birth of Jesus was real. When Mary gave birth, she probably had a midwife, because in the Jewish world women gave medical care to women. In the absence of a midwife, Joseph would have performed the duties of a midwife. Mary probably delivered Jesus from a birthing stool with a back and grips, which was also shaped with a crescent-shaped bottom so the baby could slide through into the safe grasp of the midwife. Like all mothers, she was in pain. The midwife (or Joseph) would have then taken care of the baby and Mary as well as the blood and afterbirth. Mary then, Luke's Gospel tells us, wrapped the baby in "swaddling cloths" to keep Jesus warm and safe, and they she laid Jesus to rest "in a manger." Think of a shelf of stones with a slight depression or (less likely) a feeding trough constructed of wood. Such things are not designed for babies, especially one with a "sweet" head. It matters that Jesus had a real body. For Jesus to be really human he had to be born, as the apostle Paul wrote in the fourth chapter of his letter to the Galatians, of a woman and not just through a woman. God didn't just use Mary as a "rent-a-womb" but actually became DNA-Mary's. The theological expression at work here is "incarnation," and the underlying principle is this: What God becomes, God redeems. God becomes what we are-with a real body-so we can become children of God. That's why Jesus' real body is important for our faith. For Mary there was another issue. When Mary held that newborn little body in her hands, Mary witnessed the living reality of the promise Gabriel had made to her nine months earlier. She was holding the promise-come-true. The real body she held proved to her that what God said really would take place. For theologians, the birth of Jesus is about the "incarnation." That is, that God became real human flesh. Yet, for Mary the birth of Jesus was about "coronation." I doubt Mary thought in the terms theologians use today. I doubt she wondered if her son was God and human or the God-man or what about his natures and person-how they were related. That's the stuff of theological discussion. For the real Mary that live body named Jesus may have been a messy, fussy, physical little body, but that real body was an undeniable witness to the truth that God could work miracles. If God could bring a pregnancy from a miraculous conception to a real birth, then the promise that her son would be the Davidic king on the throne in Israel was also the next promise to be fulfilled. And what happened next proved this to her. Matthew's second chapter informs us that some Gentile Magi from the East came to Mary's home and worshiped Jesus, giving him extravagant gifts. Originally, the word Magi referred to a priestly caste in Persia, but the term came to mean "magician" and "astrologer" as well. Magi were widely known and respected in the Gentile world for their capacity to interpret dreams. Because Magi were always censored in the Bible for dabbling in the mysteries that belong exclusively to God, their cosmically guided presence before Mary surprised her. It is difficult to know what Mary thought. When they offered their gifts to her Messiah son, did she think their action was an indication that astrology and magic were coming to an end? Or, did she think that this was just one more extraordinary event in the list of things she had recently witnessed? Or, was her mind in tune with the many Old Testament passages where Gentiles, would stream to Jerusalem to worship Israel's God when the kingdom arrived? Was she remembering Isaiah's eleventh chapter, where we read that, when the Messiah, came he would "stand as a banner for the peoples; the nations will rally to him"? Or Jeremiah's third chapter: "At that time they [Judah] will call Jerusalem The Throne of the LORD, and all nations will gather in Jerusalem to honor the name of the Lord"? How could she not also have thought that these were the foretold Gentiles of the Scriptures, who would offer gifts to Israel's future king? A related fact deserves our consideration: Matthew's Gospel brings the Magi into personal contact with none other than Herod the Great, the one who was himself threatened by the arrival of Jesus the Messiah. The Magi, Matthew's second chapter tells us, went immediately into Jerusalem and asked, "Where is the one who has been born king of the Jews?" Herod summoned the biblical interpreters together to find out where the Messianic king would be born. They informed him that this king would be born in Bethlehem, and they quoted Micah's fifth chapter to prove their conclusion: "But you, Bethlehem ... out of you will come for me a ruler over Israel." Because of the Magi's knowledge that a rival king was now alive in the Land of Israel, Herod the Great, not aware that the future king was in Bethlehem, "called the Magi secretly and found out from them the exact time the star had appeared." He then informed the Magi to report back to him after their visit so that he, too, could worship the king. As we read the Gospel of Matthew's story about these and subsequent events, it is clear that Herod was lying-he wanted to know where Jesus was so he could kill him and end any rival to his dynasty. Connecting the Magi with Herod brings into living reality what Mary declared in the Magnificat: Jesus is king, Herod the Great is not. When the Magi found their way to Herod the Great, they didn't fall on their faces before him. Yet Mary wit­nessed the Magi offering her son gifts meant for a king, gifts Herod the king might have expected for himself. If you simply back up to what Mary had witnessed-angels declaring her son to be king, relatives doing the same, and shepherds making the same claim, you would arrive at Mary's conclusion: Jesus will be king and Herod the Great will not be. The Gentile Magi "bowed down and worshiped" Jesus, and then, as we read in Matthew's second chapter, "they opened their treasures"-as one would do for a king. It must have been a strange sight: Gentiles -to begin with, Magi on top of that, a suspicious encounter with Herod the Great and the ruling priests in Jerusalem, and then an unannounced visitation of these Magi at the home of Joseph and Mary. But who were the real Magi? We are not sure how many Magi there were, we are not sure of their origin (Babylonia or Persia perhaps), we are not sure they were kings even though we were taught to sing We Three Kings from Orient Are at Christmastime, and we are not sure where they visited the holy family. We infer that there were three Magi because there were three gifts-"gifts of gold, frankincense and myrrh." Some early Christians gave them names and they have stuck-Gaspar, Melchior, and Balthasar. We are not even sure they visited the holy family in Bethlehem or two or more years later in Nazareth, though the text of Luke suggests they came to Bethlehem, and Matthew's account reads as if their visit happened immediately after the birth. But we really don't know. What we do know is that Mary witnessed Gentile Magi arriving at her home with gifts for a king. How could she not have thought that this meant her son would have significance well beyond the borders of the Land of Israel? How could she not have also thought that her son might have significance all the way to the throne in Rome? Mary was too sharp not to have made these connections: When you witness such wonders things begin to add up. There's plenty more to add before some subtraction begins. In the ancient world it was not uncommon for a report to circulate that a star appeared when a king was born. Tacitus, a first-century Roman historian, once said during the reign of Nero that the "general belief is that a comet means a change of emperor." Trailing the Magi into the home of Mary and Joseph was the story of a star that guided them from their foreign coun­try to the very place where Jesus was. How do we explain the star? Some suggest the star appeared as a supernova. Others suggest that a comet's appearance in about 12 or 11 BC should be connected to the Magi's star. Yet others, through the study of historical records, conjecture a planetary conjunction of Jupiter and Saturn and Mars. Johannes Kepler estimated that such a conjunction occurred in 7 or 6 BC. And yet others, who are more likely here to be on the side of the angels, think this is a miracle star. Whether or not Mary saw the star, she would have been told about that star by the Gentile Magi. A little newborn body, some Gentiles, and now a star-all witnesses to her son. And this great cloud of witnesses was growing. Everything added up to the word danger. Mary's baby was a threat to Herod the Great and to Caesar Augustus, and now people from all over the world knew thanks to the news from the Magi. Mary knew Herod would soon be on the prowl for her son Jesus. What would Mary do to protect her son? That's why God created angels-like Gabriel. When we first met Gabriel he was a conception-message angel: He told Zecharialr that Elizabeth would conceive, Mary that she would conceive, and Joseph that Mary had conceived. He was also a birth-message angel: He told the shepherds that Jesus had been born. But Gabriel (we assume it is the same angel) was also a protection-message angel: He informed the Magi not to go back to Herod and to return home another way.. The angel then appeared to Joseph to inform him that, as Matthew's second chapter informs us, "Herod is going to search for the child to kill him." Therefore, Joseph was to "take the child and his mother and escape to Egypt." Joseph did as the angel told him. During their sojourn in Egypt, Herod-on the prowl for newborn kings-slaughtered the infants of Bethlehem-an act consistent with Herod's mania for power. After the good news that Herod had died (in 4 BC), the protection-message angel appeared again to Joseph in a dream and declared to him that he could return to Nazareth safely. And they made the long trek back. Mary witnessed these angelic events. By the time she and Joseph returned to dwell in Nazareth, we have to think that Mary was asking God, "Haven't we had enough?" At this point in her journey, Mary had pondered a story that marched rather boldly in one direction: Her son would rule from Jerusalem as the Davidic king, and he would establish the Davidic dynasty once and for all. From the first word out of Gabriel's mouth to the arrival of the Magi, everything added up in one direction: Jesus would become king and neither Herod the Great nor Caesar Augustus would be. Mary was a witness of these extraordinary promises about her son who would become king. And God's protecting the child from Herod, along with the family's brief sojourn in Egypt, also informed her how protected his kingship would be. But what happened next would lead Mary to reshape the story of her son. In the next chapter and the chapters that follow we will discover a different Mary: a Mary who struggled, some­times rather demandingly, with the details of her son's life and ministry. Her struggles, if we follow her in her real world, were also the struggles of every person around Jesus. In the simplest of terms, Jesus neither acted like the Messiah they expected nor taught what Mary and his disciples expected. Mary struggled with Jesus because he didn't conform to her all-too-common image of what the Messiah's life and rule would look like. For Mary, things were about to change. On Jesus' fortieth day of earthly existence, Luke's second chapter tells us that Joseph and Mary took Jesus to the Temple for a dual ceremony. Mary's purification and Jesus' dedication. 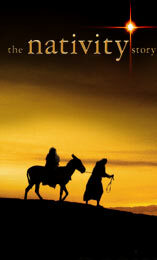 At the Temple, they encountered an old man who challenged Mary to modify her story of Jesus. What was starting to be an exciting game of addition of witnesses was about to become a game of subtraction. Scot McKnight is the Karl A. Olsson Professor in Religious Studies at North Park University. He is the award-winning author of The Jesus Creed, Embracing Grace, and Praying with the Church. In his latest book, The Real Mary, McKnight attempts to step outside of the adoration of the Virgin, and beyond the Protestant neglect of her legacy to ask: Who was she, really?